I had so many things on my mind yesterday. And it had a lot to do with what I am supposed to do today. I have an opportunity to get involved in some projects which will pay well if I get them and they didn’t really require much effort on my part. All I need to do is go out today to attend a couple of meetings. Sounds pretty good and convenient enough, so it was tempting. But behind all of these enticing thoughts, I remembered Natalie. My baby who is nearly 6 months old. Who will take care of her if I get these projects and was required to work not just a few hours away from home but possibly more? She was still breastfeeding and needed me most of the time (I’m a hands on mom so my girls have no yaya). Audrey is more independent now so it's easy enough to leave her at her cousin's place, but I didn’t leave her to do a project requiring me to be out the whole day until she turned one. My husband also told me that if I went ahead and pursued these projects today with Natalie in tow, she might get too tired. First, I know that I should listen to my husband. Second, he said that it might be stressful and he has a point. Is it worth all the trouble to tire my little baby out? I don't think so. God, my husband, my children, my work. So with this alone, my decision was obvious. In this particular situation, I would be honoring God by listening to my husband and taking care of my baby's needs before choosing work. It was that easy. Making the right decision is easy when you know what your priorities are. You are my idol :) inspired today by your blog. 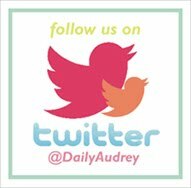 Keep us posted everyday..